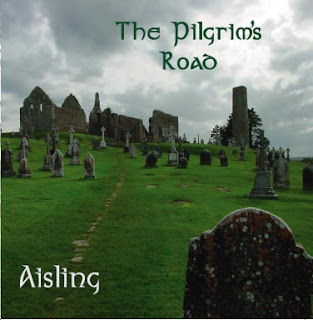 Aisling Irish Traditional Music: It's done! We'll be releasing our CD at the Dublin Irish Festival. Our stage times are Saturday, 3:30 - 4:45 at the Irish Pub, and Sunday noon to 1:45 at the Shamrock Pub. In addition, most of us will be doing two Hammer Dulcimer workshops - one on the music of Turlough O'Carolan at 6 pm on Saturday in the music workshop tent, and another on the use of the hammer dulcimer in Irish music on Sunday at 4 pm. You can purchase it at CD Baby! I missed the Dublin Irish Festival, which is too bad not only because I missed you guys, but they also set a Guinness World Record for the most people doing a certain sort of dance at one time or something like that. So, are you guys going to be playing anywhere around central Ohio anytime soon? They closed down Liberty Bookstore, which is where I used to go to listen to you guys. We're working on the schedule now. We may be doing a few open rehearsals at another venue. We're very sad about the demise of Liberty bookstore. We'll have some stuff lined up for the holiday season and then into St. Pat's month. Check the website calendar or our myspace page for updates.